Brooklyn band CHAPPO plays a catchy, electric blend of psychedelic pop that resonates with both youthful swagger and mature sonic sensibilities, mixing nostalgia and futuristic outer-spaciness with a satisfying pop aesthetic. This four-member group (Alex Chappo, Zac Colwell, Dave Feddock and Chris Olson) recorded their first EP in their living room in 2010. The lead song, "Come Home," was soon featured in an iPod Touch international multimedia ad campaign. 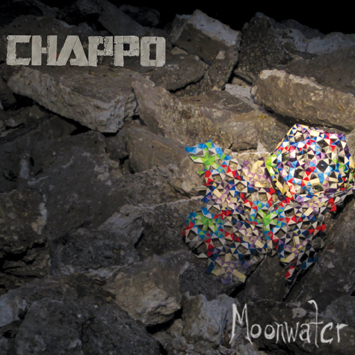 CHAPPO's debut full-length album, Moonwater, includes a remastered version of "Come Home" plus ten new tracks. The album has already begun to generate buzz for its hooky melodies, layered soundscapes and unique take on psych-rock. 1 1 What Are You Kids On?